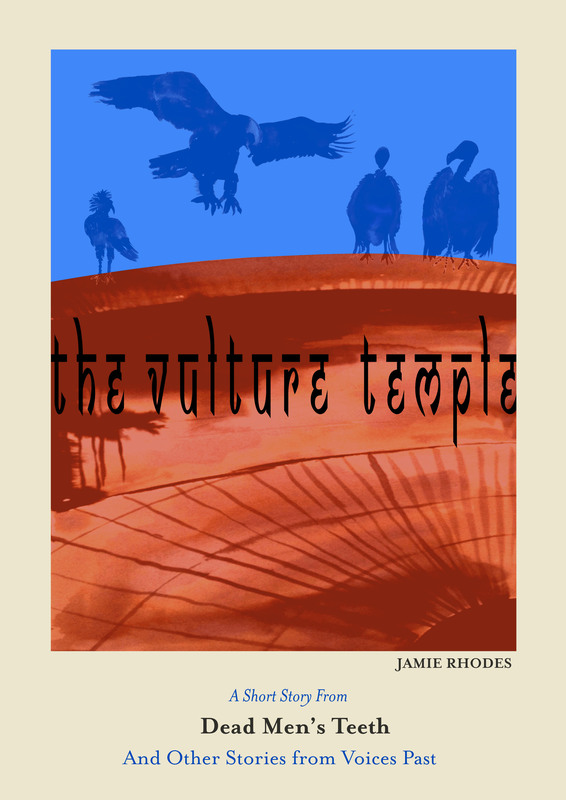 A story exploring religious tolerance using the metaphor of vulture species around a carcass as a young White-Backed Vulture comes of age. Inspired by an image of vultures perched on the rim of a Zoroastrian Tower of Silence in India, and this post on the British Library’s Untold Lives blog: The Tower of Silence, a Zoroastrian Detective Story. An image more than a historical document inspired this story. It is an image of a ‘Tower of Silence’. The towers of silence (dakhmas) are enclosed towers in which Zoroastrians expose the dead to be eaten by vultures, thus avoiding pollution of the sacred elements fire, water or earth. Zoroastrianism is one of the oldest religions in the world, dating back to roughly 1400 BC and tracing its origins to Ancient Persia. While they are no longer in use today in Iran, the Towers of Silence are still used by Zoroastrians in India and Pakistan. The image that was the seed from which the story grew, is one of vultures gathered around the rim of the tower, hunched in almost reverential mourning, waiting for the next body to be laid for them. The tower appears as much a religious site for the vultures as it is for the Zoroastrians. Keen to explore this idea of the religion of the vultures, I went about researching different species of vultures in India and looking at their behaviour. George Orwell’s Animal Farm was a big inspiration for this story. I want to write a novella that satirises religion in a similar way that Animal Farm does with revolutionary politics. Vulture species squabbling over a human carcass feels like a good image through which to explore this idea. This short story sets up the religion of vultures and presents an episode to play out within it. – Jamie Rhodes. Sadly, since the 1990’s, 97% of Asia’s vultures have been wiped out as a result of diclofenac given to cattle. Diclofenac stays in the meat and is deadly poisonous to vultures. Vultures fill a vital ecological role, and as a result of their disappearance many tons of rotting meat lays unconsumed, spreading disease and contaminating the environment. These fascinating birds are now critically threatened with extinction, visit the RSPB’s SAVE (Saving Asia’s Vultures from Extinction) campaign.